American Airlines gate agents are under a lot of pressure to get flights to push back exactly on time. As a result they organize their duties around this goal, at the expense of passengers. As a result passengers showing up at the gate on time find that their plane is halfway boarded or more. They may not get overhead space. So passengers have to show up at the gate early if they have carry on bags. And they have to hope their plane is on time, because American is also not very good about updating boarding and departure times. This combines to waste tremendous amounts of passenger time. Customers could be in American’s club lounge, that they pay for, working instead of standing in the gate area. But American’s focus has been to drive operations for their own sake rather than focusing on customers. And it hasn’t even made American an on-time airline. This problem is already familiar to regular blog readers, and to American Airlines passengers. However there’s another wrinkle that several readers have emailed me about, though I haven’t experienced directly: gate agents who process upgrades by calling people at the gate, and skipping them if they aren’t waiting at the gate. American Airlines has a mobile app, it updates your seat assignment automatically when you’re upgraded. You don’t need to wait at the gate for a new boarding pass. American’s rules do not require you to be at the gate in order to get an upgrade you’re waitlisted for. However it’s still advisable, it seems, to wait around at the gate if you’re hoping for an upgrade because agents have been processing the upgrade list early in some cases (to get their duties done early, so they don’t get in the way of D0), not simply processing the list but calling passengers, and skipping those who don’t respond — in order to get the upgrade process done and over. D0 rears its ugly head. This seems to happen most often at legacy US Airways stations like Philadelphia, but I’m not certain it’s limited to those. So a small piece of advice if you’re waiting on an American Airlines upgrade: be at the gate. This even gives you a shot at an upgrade you might not think you’ll get, because a rogue agent may skip over people ahead of you on the list who don’t know to waste their time in the gate area prior to flight. United had this problem for a while, especially at LAX. Calling out an agent on it who didn’t realize the CO style UA app had live upgrade lists resulted in a lost biz class upgrade turning into a double first class upgrade. Doesn’t it show up on the app that they upgraded someone behind you with the check marks? I’d imagine this could make for some very angry passengers. Simple solution — buy first class. This still happens on UA once in a blue moon. They will skip those on the list and clear those who are at the gate. On the app, it just shows up as a check mark when the agent does it. Saw it happen at LGA the other day. I’ve seen this happen in Chicago on AA too. Yeah no thanks. I’ll just buy first on the carrier with the lowest price and most direct routing. As far as I am concerned AA’s gate agents can do whatever they want as they process the upgrades on the legacy US Airways Clinton-era 737 that lacks power/USB, wifi and IFE, I won’t be lining up for them to throw me a bone. Haven’t had this issue with upgrades. Sometimes I see the upgrade clear on the app before the gate agent does and go collect the upgrade before they are even aware of it. I’ve had that happen several times this year. This happened to me yesterday on LAS-ORD flight. I was in the Centurion lounge before a 9:55am flight. Around 9:20am my upgrade went through (I was first on the list). I updated my boarding pass, and walked to gate D10 and got there ay 9:24…right as they were announcing Group 1. As I was in the bulkhead I was expecting the overheads in 1st to be full since I now had to put two bags up top. Luckily, that wasn’t the case. I got my iPad and headphones out and sat down. At about 10am, we were still at the gate and a gate agent came on board. She waved to get my attention and yelled “Are you XXXX? !” I said yes and she loudly reprimanded me because apparently she had be calling my name over the loud speaker. She asked how i got on board without my boarding pass. I showed her my phone and she stormed off saying “I have to seat you on the plane again now because you never showed up so I unseated you.” She was a 10 out of 10 on the obnoxious scale. It’s my home airport and I’d never seen her before. Pretty sure she could have just looked at her system and saw that I had boarded the plane instead of causing a semi-embarrassing scene. But yeah, this EARLY boarding crap needs to stop immediately. This is utterly infuriating and I’m pretty sure it has happened to me before. I’m going to ask, my husband has pancreatic cancer and we just found out it has spread to his liver! We’re going to Puerto Plata on Oct 7th from Boston! Do you ever offer an empty first class seat to someone who’s deserving to let them cross off his bucket list! I love him with all my heart and would like to let him experience this as I can’t afford to buy him first class. We have economy seats now. He’ll be starting Chemo as soon as we return from our trip! Thank in advance! PHL isn’t exclusively LUS there are LAA passenger service and premium service agents on the passenger service classification seniority roster try again. I thought you avoided LUS entirely…you made a post to that effect recently. You have no clue what you are talking about. And it’s long standing been LAA policy since before you started flying that once a pax boards they relinquish their claim to said upgrade. Names on GIDS roll-off to indicate this as BPs are scanned but still appear on the mobile app, Jetaway, etc. @ Gene this blog is about people trying to get something for nothing and not paying what is germane to the cost they impose and value exchange. Everyone here wants polished service, caviar, champagne, flat seats but wants eight systemwide UGs, free F on Cathay, etc. Is this the only cause of the app showing #3 and #5 jumping the queue when #1 and 2 haven’t cleared? I always thought the app for some reason wouldn’t show the right order and #3 could have been an EXP showing out of order. What’s the protocol/reality when you’re waitlisted on an international flight with a mileage+copay upgrade on the list (ie CP1, CP2 etc)? It’s my impression that gate agents don’t have the time required to process these types of upgrades since it involves a phone call to have the ticket reissued and the need to collect the co-payment. So if you’re on the waitlist with one of these types of upgrades, are the gate agents going to skip over you, regardless of whether you’re there or not, and only process the SWUs? Gary, I missed the “trick” to “jump the queue.” I follow what you’re saying about not getting skipped, but where’s the part about the “trick” to move up? @Josh G – did you read the post? Your reading comprehension must be poor, who is talking about “once a passenger boards”? You have no clue. I do my best to avoid LUS but did fly it last week, but the reference in this post is that the reports from readers of this happening have skewed towards LUS and to LUS at PHL in particular. Gate agents are all powerful. And that’s the name of that tune. It’s smarter for the airline to charge for the upgrades and eliminate all free upgrades. I would rather pay for it so I don’t have to worry about some Exec Platinum getting it for nothing. Money talks. Its getting silly with the early boarding stuff. I had a SQ suites flight out of JFK and they provided the boarding time on my pass. I go to the gate about five minutes before the scheduled boarding time and they are already boarding economy and I had to navigate the crowd to get into suites, because there was no separate boarding entrance. If you are going to board early then put that time on the pass. Don’t start boarding so that those of us with priority boarding end up stuck in line on the ramp. Last week, DFW airport, flight to CLT. 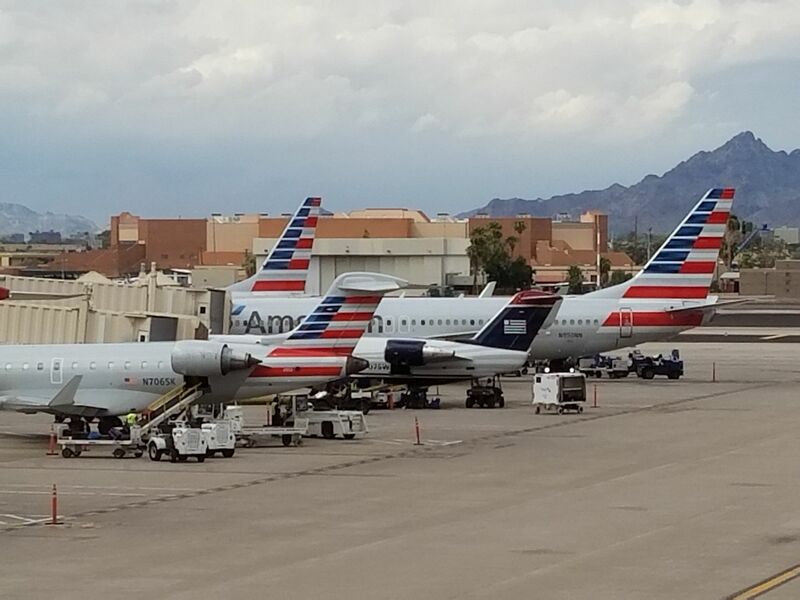 AA left 7 passengers stranded (all connecting). I ran from my connecting flight to the gate, but I was assuming I had missed it so I had no expectations (I was booked on a later flight and was hoping for a minor miracle to catch the earlier flight). When I reached the gate, it was closed, and the gate agent just closed the door. As said, 7 passengers who SHOULD have made the connection, did not because they closed the door a full 10 minutes early. The gate agent flatly denied it, but we could prove it from the AA app as well as the Flightaware app. All 7 pax were elderly, and somewhat confused about how they had missed their flight. On the next flight – the one I was already booked on – I ended up sitting next to one couple from the 7, who were connecting from Portland. Not only had they missed their connection, they had now also been downgraded to economy from First. As it happened, there was only 1 first class seat left, which was offered to either to take. They refused as it would be stupid to separate either husband or wife. Just before the doors closed, the gate agent (same one that closed the other flight 10 minutes early) came looking for me as I was #1 on the upgrade list, and gave me the 1 seat that the couple did not take. We had a laugh about it, and at least the couple now had 3 seats for the 2 of them. But it just shows how much DO impacts flying. Not good! It’s not so much a trick as it is the consequence of a situation that is entirely outside the passenger’s control. “Trick” implies that you can use it willingly to your advantage. You must be new to the blog. Expect clickbait and contrived reasoning here, you’ll be just fine. @Andrew, change your perspective. You are the person down the list. You show up early and get the upgrade when they pass over someone ahead of you. You just jumped the queue. Well, yeah, sort of like the bum who blocks traffic with his sign begging for money, merely because he can. They are both using what little actual power they have. I’m buying first class now. I was able to buy first class tickets from LA to Hong Kong for $3200. 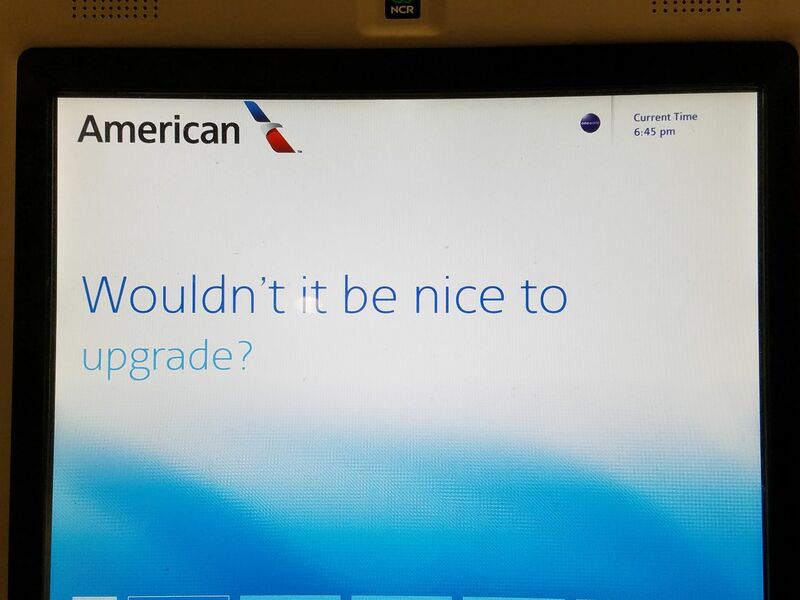 At that price it wasn’t worth the risk of not getting an upgrade. I’m pretty sure this a variation of this happened to me today. I arrived at the gate and was #2 on the upgrade list. The gate agent said that if the upgrade cleared they would come get me on board, so I should not wait at the gate. 1) There is one seat broken in business (Not sure why this was relevant). 2) Was then told the names that cleared were first class upgrades. I asked, the what about the two extra seats now in business. Here response was a blank stare and “business class is full so I can’t help you. Any insight on what happened? Was I the victim of a pathetic gate agent? Hi my name was second upgrade list.. The first person got upgrade and the 6..why ?? Doug on THIS is What Delta, American and United are Running to President Trump Afraid Of?